Sally Ride has berthing for twenty-five scientists. Two of these berths are reserved for Scripps marine technicians who sail aboard every cruise, and are included as members of the science party. The remaining twenty-three scientist berths are assignable by the Chief Scientist for members of the science party. Berthing for most scientists is located on the fo'c'sle deck (one deck above the main deck). 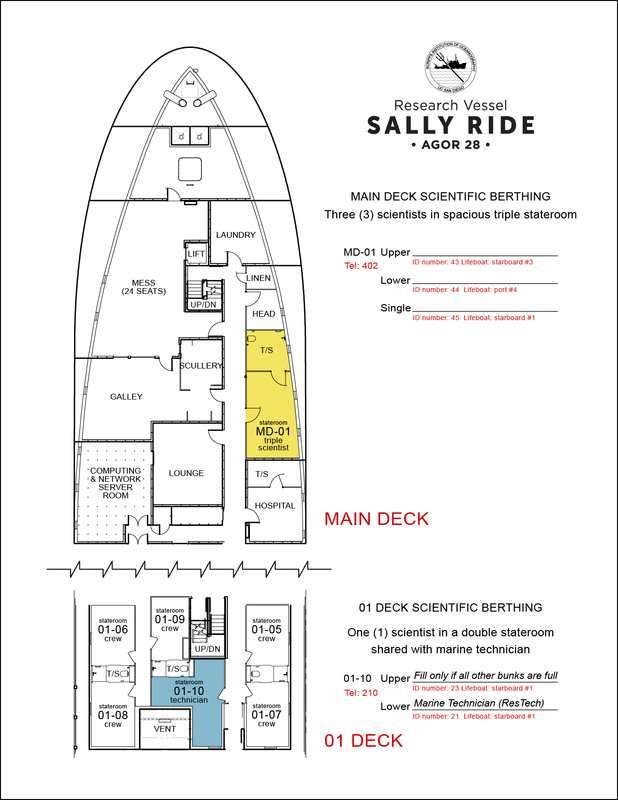 Staterooms are double-occupancy and share a head with an adjacent two-person stateroom, except for the Chief Scientist Stateroom, which has its own head. Our spacious three-person stateroom on the main deck is designed to accommodate wheelchair access. This room has a bunk bed plus a single bed, and has its own large head. 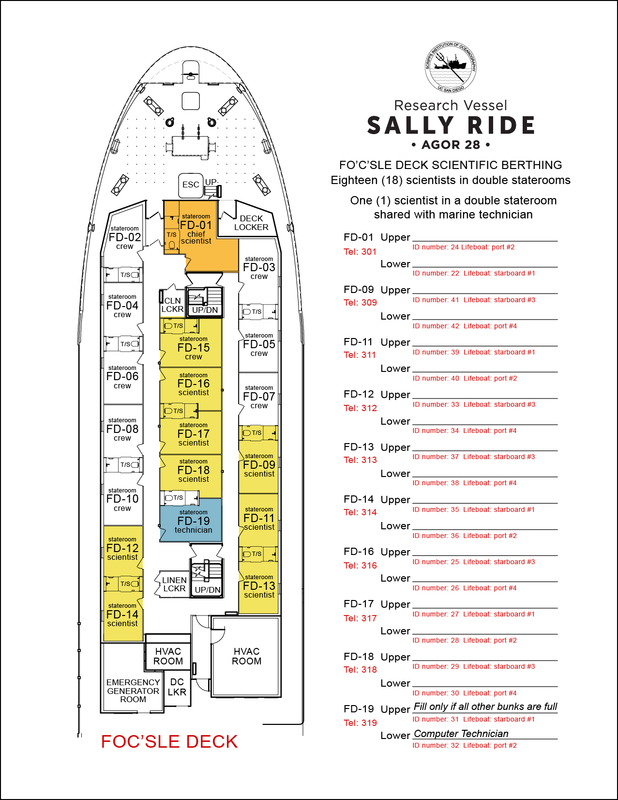 R/V Sally Ride's marine technicians are berthed in designated staterooms. In the event of a full ship, the upper bunks in these rooms may be assigned to scientists number 22 and 23, once all other bunks have been filled.